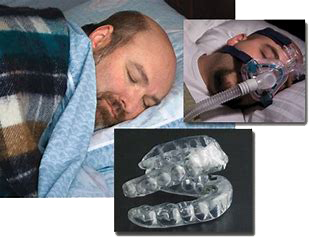 Our Retainer-Like Oral Appliance Relieves Snoring and Sleep Apnea. 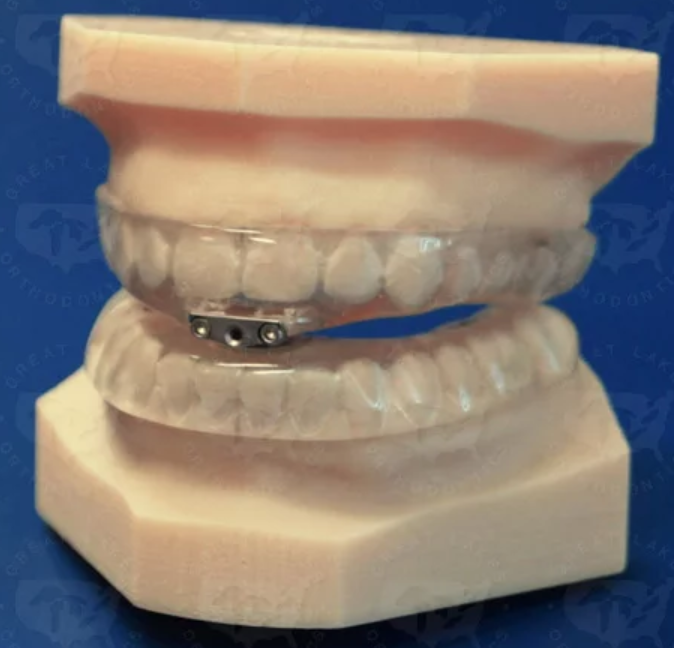 Many patients prefer our Oral Appliance to a CPAP. Fact is that Obstructive Sleep Apnea Affects over 18 million people in the United States. It is a common yet serious sleep disorder characterized by loud or heavy snoring interrupted by stopping of breathing for more than 10 seconds. The word “apnea” literally means “without breathing”. Obstructive sleep apnea is frequently dismissed as harmless yet annoying snoring. If you or a loved one snore loudly at night or experience daytime sleepiness please have a sleep study to rule out this potentially fatal condition. Sleep studies may be done in the privacy of your home. Once properly diagnosed, (snoring or mild, moderate or severe obstructive sleep apnea or in rare cases central sleep apnea), you will be offered a variety of treatments which may be surgical or most often include a CPAP or Oral appliance. Dr. Giacalone has received special training in Dental Sleep Medicine and is a provider of FDA approved Oral Appliance Therapy. She is a member of the American Dental Association, A Master of the Academy of General Dentistry, holds a certificate from the Dawson Academy and the Orthodontic Institute. She is a member of the American Academy of Dental Sleep Medicine. Many of the patients for whom Dr. Giacalone provides an Oral Appliance simply could not tolerate a CPAP device. The oral appliance is easier to use, to clean, carry when traveling, and does not make noise which can disturb the patient or partner. Not only are these appliances FDA approved but they are covered by most medical insurances. A CPAP (Continuous Positive Airway Pressure) is pressurized air from a bedside machine. The air is delivered through a tube that connects to a mask covering the nose. The pressure of the air forces and maintains the airway open while you sleep. This is a very successful treatment option; however, it is only a great treatment if it is used! It is estimated that as many as 80% of people for whom a CPAP is prescribed do not use it. If you are one of the 80% don’t risk serious health issues or death. Try Oral Appliance Therapy! What is Obstructive Sleep Apnea? When the airway or passage through which we breathe becomes completely blocked no air is exchanged. The body is deprived of vital oxygen for a brief period. Fortunately, the body usual responds by awakening the person or causing that individual to thrust their jaw forward, moving the base of the tongue away from the back of the throat. We often see severe wear of the front teeth in patients who suffer from obstructive sleep apnea as the body tries to protect itself and open the airway. (in CPR we are taught that the most common obstruction of the airway in an unconscious person is the tongue and one of the first steps in CPR is to open the airway by moving the tongue from the back of the throat). These incidents of complete airway obstruction can occur many times per hour and hundreds of times in a night’s sleep. When breathing stops, the snoring stops until the individual chokes, gasps for air or clears the obstruction by moving their jaw forward. They will awaken briefly, interrupting their sleep patterns and in the morning have no memory of these instances. Sometimes the individual does not arouse in time and a heart attack or death occurs. Famous athletes and film stars are believed to have died this way, including Reggie White at only 43 Yrs. old and Carrie Fisher. Even when the sleep apnea does not result in death there are serious side effects from oxygen deprivation even if briefly throughout the night. These include: Brain fog, Depression, Anxiety, High Blood Pressure, Stroke, Heart Arrythmias, Impotence, Low Blood Oxygen Levels, Congestive Heart Failure and TypeII Diabetes. Since we clear amyloid proteins implicated in Alzheimer’s Disease during sleep, a serious sleep disorder such as Obstructive Sleep Apnea, is believed to put one at higher risk of developing the life altering disorder. Common Symptoms: Excessive daytime sleepiness; Heavy feeling of the eyelids when you wish to be awake; Poor, unrefreshed sleep; Memory problems; Getting up two or more times during the night to urinate. IT IS ESTIMATED THAT MORE AUTO ACCIDENTS OCCUR BECAUSE OF SLEEPINESS THAN DUI! Dental services provided by Dr. Giacalone: Click the links below to learn more about each service.